In 3 Wishes, you and your friends have stumbled across a Genie, who is both powerful and mischievous; he will make someone's wildest dreams come true - but only for the right person! 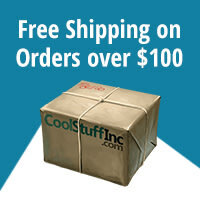 It will take quick wits, guile, and cunning to ensure you gain the genie's favor! A superpower? A spaceship? World Peace? Maybe a pet dragon? Any of those could be yours...Or could they? 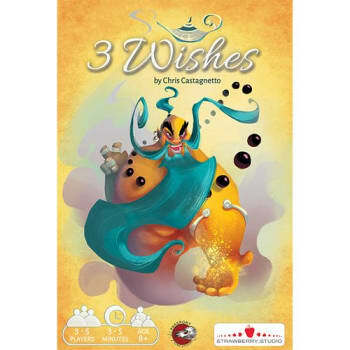 3 Wishes is a fast paced hidden information game for 3-5 players that will be sure to make your wildest dreams come true!